2018 is finally here and design is hotter and more complex than ever. 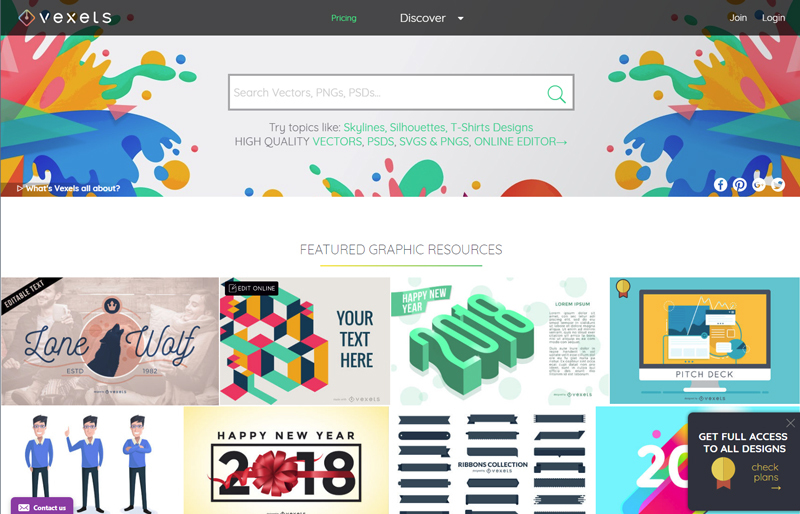 To make it through the ever-changing jungle of pixels, vectors, stock images and what not, we handpicked the top graphic design resources that you’ll need this year to save time, optimize your work and improve your design quality. Whether you’re just starting out or a veteran pixel champion, all these resources are a must-have in your design toolbox for this year and forever. The hottest site dedicated to vector graphics has got it all: well over 20,000 PNG & SVG items, free vectors for the casual user, premium content for seasoned designers, and if you’re in a hurry or lacking inspiration, you can take up their online editor and choose among hundreds of ready-to-edit designs. Still can’t find what you need? Ask them to make a custom design specially for you! They’re big on skylines, silhouettes and cartoons, and have a wide range of exclusive trendy designs you won’t find anywhere else. While their content is affordable and cost-efficient, they also offer free download options depending on the use you’ll give the design. Whatever your project is, Pexels is a must when it comes to high quality free stock photography. Self-proclaimed as the website that gathers “the best free stock photos in one place”, they add five photos per day, all of them are creative common 0 (can be used without attribution) and ready for commercial use. Niice is a design inspiration hub meant for teams. 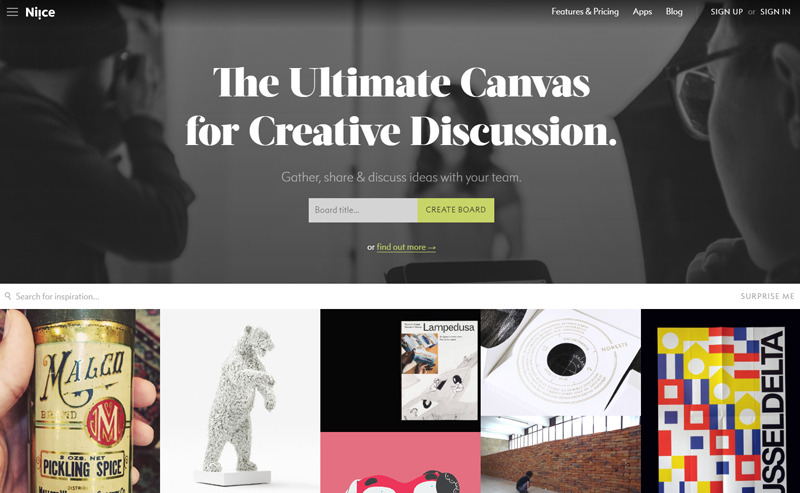 What started as a carefully curated inspiration site is now a team-focused platform for creative discussion where team members can gather up, share and discuss creative ideas. They make it really easy to share visual boards and get all members on the same page. If you’re a lone wolf, you can find awesome inspiration for yourself. If you are a Chrome user and haven’t heard about Piktab, you’re in for a treat. A handy extension, Piktab allows you to discover free graphic resources every time you open a new tab. Finding awesome free content can’t get any easier than this. It gathers content from the top design sites out there, and you can customize your experience any way you want. 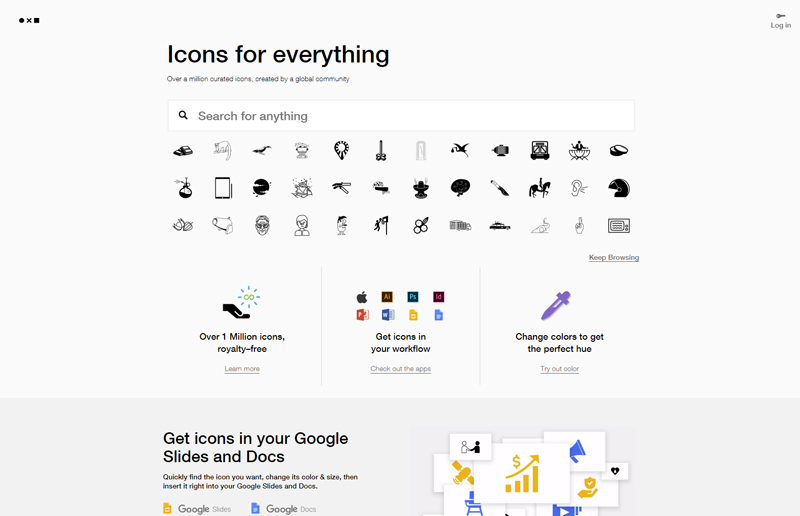 With a modern interface, high quality icons, and affordable prices, Noun Project is a globally-powered icon factory that hosts over a million designs from artists and designers from all over the world. If budget is too restrictive, you can pay with attribution. You are guaranteed to find anything here. Keeping up with the latest design trends and news can be mind-numbing, as there are plenty of options to pick from, but we found DesignTAXI as a daily hub of informative and engaging design-related content where you can find pretty much anything, from film, art and graphic design news all the way to fashion and product design. Arguably the ruler of all font sites, FontSquirrel is everything we look for: free and 100% ready for commercial use. If by “free” you think “low quality”, think again. The hottest and trendiest fonts are there for the taking. Did we mention all their fonts are handpicked? That means you’ll surely get a great font regardless of your choice. Skillshare is a heaven-sent for anyone who’s eager to either learn new skills or improve their craft from the best in the biz. With over 18,000 design classes available (and counting), this is by and large one of the most resourceful sites you’ll ever come across with. When color matters, it’s time for Adobe Color CC, a super-useful tool which allows you to create your own color palette from scratch or draw inspiration from a massive library of palettes, all of which are human-made. Originally as a stand-alone Adobe product, it’s now embedded into Illustrator for a seamless design experience. The best thing about it: it’s totally free. You’re now officially set for your design journey, so get those creative juices flowing and your design skills going. Did you find these useful? Do you have a pick of your own? Let us know!